Stacy is an official reporter working for the Northern District of Indiana in the Hammond Division. She has held that position since 2008. In 1995 she received an Associate’s of Applied Science degree in court reporting from the College of Court Reporting (CCR) in Hobart, Indiana. During her career as a court reporter, Stacy has also worked as a broadcast captioner, freelance reporter, court reporting instructor, and held an administrative position at CCR. She has earned the certifications of Registered Professional Reporter (RPR), Federal Certified Realtime Reporter (FCRR), Certified Realtime Reporter (CRR), Certified Reporting Instructor (CRI), and Illinois Certified Shorthand Reporter (CSR)..
Stacy is a member of the National Court Reporters Association and the Indiana Court Reporters Association. She has previously served on the INCRA Board as Treasurer, Vice President, President, Immediate Past President. In her second term serving, Stacy just completed a two-year term as Vice President and is currently serving as President. Ashley started court reporting school at the College of Court Reporting in the winter of 2005, one week after midterm graduation from high school. Upon completing her studies at CCR, she spent a year teaching the 60/80 speedbuilding class while working on passing the Illinois CSR. In 2008 she obtained the Registered Professional Reporter (RPR) and Illinois Certified Shorthand Reporter (CSR) certifications and began working as a freelance reporter for Veritext Reporting where she spent the next six years gaining experience reporting many different proceedings such as depositions, court hearings, trials, and board meetings. From 2014 to 2016, Ashley was a freelance reporter working out of Stewart Richardson's Valparaiso office before moving to her current position as an official reporter serving the Northern District of Indiana in the Hammond Division. In Ashley's free time, she enjoy spending time with her three sons and volunteering at her church in the youth and children's ministry. 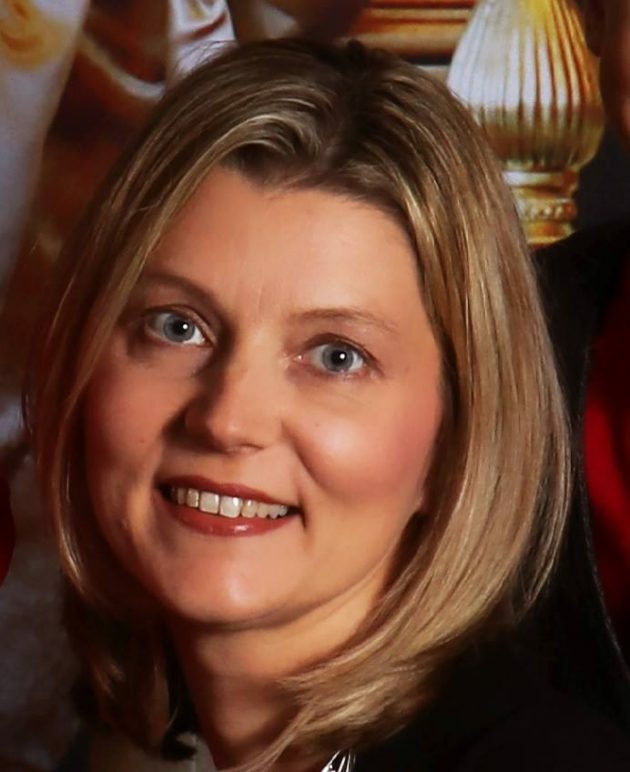 Tracy Larimore is a freelance court reporter working in Fort Wayne. She was born and raised in Toledo, Ohio, and upon graduation from The Stenotype Institute in 1993, moved her family to Fort Wayne, where she owned and operated Larimore Reporting Service for 16 years before joining forces with Summit City Reporting in 2009. She has earned the certifications of Registered Professional Reporter (RPR), and Indiana Shorthand Reporter (CSR). As a freelance court reporter, Tracy’s work is primarily depositions, including realtime and video depositions, but she also works in other areas including arbitrations, public hearings, jury trials, city council meetings, and provides CART on a monthly basis for the hearing impaired. 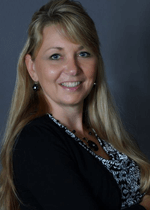 Tracy is a member of the National Court Reporters Association and the Indiana Court Reporters Association. In the past, Tracy has served on several public boards, including MADD and S.T.A.R.T., where she received the Silver Star of Merit Award from the Allen County Sheriff. She is serving her third consecutive term on the executive board of the Indiana Court Reporters Association as secretary. 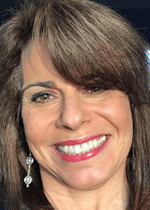 Janine Ferren has been a freelance court reporter since 1986, initially working in New York City and Long Island, then moving to Indianapolis in 1992. Janine’s entrance into the court reporting field spans back to 1980 when she was typing transcripts for her late father, a longtime court reporter in New York City. Her sister is also a court reporter in New York, so one could say that court reporting is in Janine's blood. Janine graduated from Molloy College in Rockville Centre, New York, with Bachelor of Arts degree in Music in 1986, and two weeks later she completed the court reporting program at Stenotype Institute in Hicksville, New York, where she had been a night student for 18 months. She has earned the certifications of Registered Professional Reporter (RPR), Certified Realtime Reporter (CRR), and Illinois Certified Shorthand Reporter (CSR). As a freelance court reporter, Janine’s work is primarily depositions, but she has worked in other areas including arbitrations, hearings, trials (including daily copy realtime trials), captioning for the hearing impaired, conventions, and video production work for media purposes. Janine is serving her fourth consecutive term on the executive board of the Indiana Court Reporters Association. In the past she has served on several non-court reporting boards and committees, including Cub Scouts, Boy Scouts, and faith-based groups. A mother of two sons, Janine resides in Fishers with her husband. Tara has been a reporter with Connor Reporting since graduating from Northern Technical School of Business in Minneapolis, Minnesota, in March of 1978. She has reported depositions, hearings, trials, executive council meetings, press conferences, and conventions throughout the United States, in Canada, Mexico, and the Caribbean. She is a Certified Realtime Reporter providing realtime transcripts to clients on site or streaming over the Internet..
Tara most enjoys and specializes in complex litigation and has provided numerous reporting services in many high-profile cases in the Indianapolis area. She has extensive experience in medical, technical, and patent and trademark testimony and has reported interpreted testimony in many different settings. She has a knack for making difficult reporting situations an exciting challenge. A significant portion of Tara’s expertise is in convention reporting. She has had the privilege of reporting U.S. Presidents, Vice Presidents, numerous presidential and vice-presidential candidates, and other high-ranking political officials, including foreign heads of state. 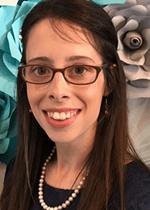 Tara is a member of the National Court Reporters Association, the Indiana Court Reporters Association, and the Society for the Technological Advancement of Reporting. She has served as INCRA’s convention committee chair, vice president, and president of our association and is now serving as its immediate past president.